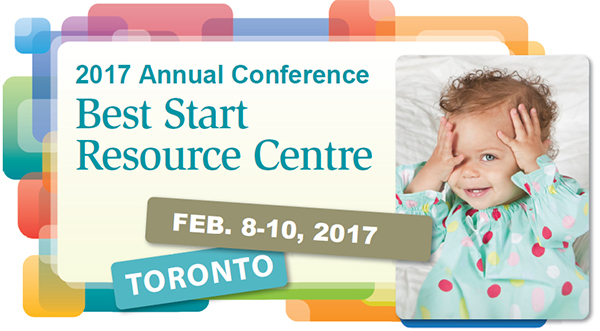 The 2017 Annual Best Start Resource Centre Conference took place from Wednesday February 8th to Friday February 10th at the Sheraton Toronto Airport Hotel & Conference Centre. Over the course of the three days, over 600 delegates came together to discuss key issues in maternal and child health, including cannabis use in pregnancy, supporting early childhood development, physical activity and the early years, breastfeeding, prenatal education and the health of Indigenous children and families in Canada. Delegates, including public health nurses, midwives, doulas, physicians, staff from Ontario Early Year’s Centres, breastfeeding supporters, Ontario Healthy Babies Healthy Children (HBHC) staff, social workers and more, came from all across Canada to participate. Explore the pages of this website to learn more about the topics presented at the conference. Video is also available for some of this year’s keynote presentations and workshops. K1 – Application of the Baby-Friendly Initiative in Canada and What's Next? B5 – The Adverse Childhood Experiences – What does it tell us? Now what? This year’s conference was on Twitter, with delegates tweeting using #BSRC2017. Check out the tweets from the conference below.